Satyam, Shivam, Sundaram - the ideal world. Truth, Peace and Beauty - the three pillars of heaven or should I say the three realizations of creating a heaven within this world. AUROBODH a place that offers this realization in the form of creativity. The vision and philosophy of AUROBODH comes from my master Sri Aurobindo and my already existing organization Bodhana. (Auro coming from Sri Aurobindo and Bodh coming from Bodhana). A synchronization of new creation and spiritual awakening it blends perfectly for a business venture that has based itself on the principles of truth, creativity and beauty. A space for art, sound and creativity it offers something for all - a collector of art, a lover of music, an appreciator of creativity and a playful child. A place for the young, old and children, we invite you all. Aurobodh is a space that provides a commercial platform to materialize the above vision. Being an artist myself I have a distinct choice and will offer my consultation to people for their art purchases either from the variety of art that is available at Aurobodh or by sourcing masters and rare works from private collections. 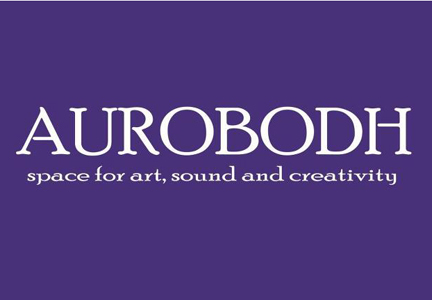 Besides consultation, Aurobodh will also regularly exhibit artists and platform the diverse art forms - paintings, photography, sculptures, ceramics, videos, installations - working towards an amalgamation of a social, political, philosophical and artistic thought.